What’s your major? 你喜欢你专业的什么课? 觉得专业学的东西对以后有用么?what are interesting things in your subject ? Who is your pop star ? 如何变成你的偶像? Have you ever meet him/her ? Do you prefer listening to concert record or going to a live show ? Do you want to be a pop star ? Do you prefer concert or album ? Do you see the pop star in person? Do you like ring or necklace ? why ? 为什么带jewelry ? 戴珠宝的频率? 喜欢什么样的珠宝? 你喜欢什么样的首饰? 你曾经送过别人首饰吗? 你觉得人们为什么戴首饰? What indoor games do you play ? what indoor games did you play when you were a child ? Do you think young people spend a lot of time on playing games ? 1. Describe two people from the same family (描述来自同一个家庭的两个人) p3: 现在跟过去和家人相处有什么区别? 亲人重要么? 2. Describe an experience you spend time with a child ( what did you do,when did you do, how do you feel) P3: how to teachchildren ? Is sweet a god thing to reward them ? 3. Describe aninteresting neighbor (描述一个有趣的邻居) P3：邻里关系咋样? 住在大城市和乡村的区别? 怎么改善邻里关系? 4. Describe a historical figure ( 描述一个历史人物) p3: 为什么人们喜欢关心名人做什么? 4. Describe a polite person (描述一个有礼貌的人, who is he , how well you know about him , why you think he is polite ) P3: 乡村还是城里人更polite ? 举一些中国人有礼貌的例子? 5. Describe a famous person (描述一个名人) p3: 成为名人都有什么方式? 网络直播你怎么看? 现在出名的人和之前的有啥不同? 6. Describe animportant family member who has great influence to you( made you proud of) (描述家庭成员里对你影响大的重要的一位(who, 对你做了什么事影响大， 这件事在哪里发生)P3： 待更新. 7. Describe a happy couple /a couple that are married (描述一对恩爱的夫妻who are they, how long their marriages , why you think they are happy ) p3: 关于婚姻的讨论，比如婚礼花的钱， 现在生活中夫妻男女地位， 你认为男生在婚姻中扮演什么角色? The best age to marry ? Do you think Chinese wedding is waste a lot of money ? why ? why use a lot of money for the wedding ? why just don’t save it to do other thing ? Should 男女在婚姻中要有各自的任务么? 8. Describe a person who helped you in study or life ( who, why you think study is easy )/A helpful people in work/study p3: 不同的人工资应该不一样么? 为什么? 为什么喜欢你的职业? 你认为以后工作会用到学习的内容么? 具有什么特别资质的人会很有用? 9.Describe a person you want to know more about (描述你想知道知道更多的人) P3: 中国人如何交朋友? 朋友间什么最重要? 10. Describe a clever person to solving the problem ( who, when, where, why do you think he/she is clever)p3: 你认为现在有很多小孩子有很多好习惯么? 你认为小孩子是先天聪明还是后期培养的? 你认为在某一方面很聪明但在另外一方面努力学习会有效果么?Born to clever or not ? Need to learn to be clever ? 1. Describe one of your favorite clothing. 描述你最喜欢的衣服(what it looks like , how did you get it , do you often dress it , explain the reason why it is your favorite clothing)p3: Do all people enjoys shopping for clothes ? Why some people like shopping with friends ? why people like shopping for clothes online ? what risks would take when shopping online ? what special clothes do Chinese wear on official or formal occasions? 2. Describe a statue or painting you saw (描述一个你见到的一个雕塑或画, 什么样子， 在哪见到的)p3: 中国除了雕塑外还有在艺术方面有名气的么? 人们为什么要去画廊? 人们第一眼看到一幅有名的画是什么感受? 年轻人和老年人在欣赏画方面有什么区别? 为什么画家在中国没有好的工资? 3. Describe a book like reading (描述你最喜欢读的书) p3: 在中国什么人喜欢看书? 年轻人喜欢看什么书? 4. Describe a foreignfood you ate before (描述一种你吃过的外国食品) (是什么，什么时候吃，在哪里吃，为什么要吃它)P3：什么食物你这受欢迎? 为啥? 为什么美国食物也受欢迎? 中国南北饮食差异，为什么? 5. Describe an important equipment in your house (描述你家中的一个重要的设备) P3: what are the importantmachines in your house and why ? Does everyone own this machine in your country? what machines do you expect in the future? Why ? 6. Describe a vegetable or plant you like best in China ( 描述在中国你最喜欢的植物) ( 什么样子，在哪生长， 你喜欢还是不喜欢它?) p3：你养过植物么? 周围有人养植物么? 他们为什么养? 自己养个植物有什么感觉? 你认为将来会不会有更多的人自己种菜吃?为什么? 小孩子在中国会被允许种田么? 对于在城里的人， 他们在哪种田? 以后人们为什么会对种田感兴趣? 为什么环境会影响种植蔬菜或者植物? 在室外室内种植有什么不同? 想过做一个farmer吗? 7. Describe a gift ( free meal or gift or sth. Else) (描述免费的礼物，一餐，一个礼物或别的) p3: 是否大家都喜欢免费的东西? 有什么免费的public equipment , transportation important ? 政府应该提供免费的东西么? 8. Describe an occasion that you have a cake that is special (描述你吃过的cake一个场合) what kind of cake , why when, with whom ) p3: special food in China in special festival ? Are the food now good than in the past ? is it important to communicate with families ? cook at home ? when eat special food ? have meal with family ? 1. Describe a company & organization ( what company it is , how big , what do you do in it/what do people do in there , explain how do you feel about it . )P3 年轻人找工作容不容易? Young woman 在中国会喜欢的职业? 钱重要还是兴趣重要? 你会做饭么? 要尝试做么? 你认为美食重要么? 旅游的时候你爱吃很多东西么? 2. 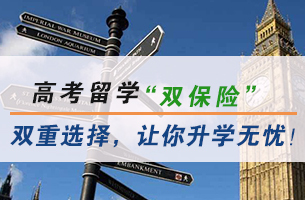 Describe a city you’ve visited that you like (描述你访问过的一个喜欢的城市， where is it , when did you go there , what did you do there , explain whether you like it or not )p3: what makes a city a god one to live in ? what people can do to improve the quality ? 影响城市发展的因素是什么? 一个城市的地理位置与它的发展有关么? 与它的建筑风格有关么? 3. Describe a place where has lots of people ( 描述人多的一个地方, 什么时候，你在那里干嘛， 和谁在一起， 心情如何) p3: 住在人多的地方你会怎样? 如何增进邻里感情? 4. Describe a shopopen in your hometown (描述你们家乡的一个商店， 在哪，卖什么，谁在这购物)P3: 什么类型的shop 在中国受欢迎? 中国是否应该保护那些小商店? Smallshop 同large shop的区别在哪? 喜欢大商店还是小商店? Why? 商店应该怎样吸引顾客? 政府应该保护小商店吗? How? 商店如何吸引年轻顾客和老年顾客? 5. Describe a quietplace (描述一个安静的地方).Part 3: 什么地方没有噪音，生产噪音的原因是啥?安静的地方还有哪里?人们为什么喜欢安静的地方? 工作的时候需要绝对安静么? 你会一边听歌，一边工作么? 6. Describe a place you would like to go in the holiday (描述你想度假的地方) P3： 人们为什么回去那些景点? 为什么有趣? 外国人回去哪些景点为什么? 描述一下当地的文化背景比如新疆或者西藏? 7.Describe a swimming pool (描述一个游泳池) p3: 老年人游泳危险么? 设备对于运动重要么? 政府会出一定的费用给运动器材么? 8：Describea café you visited last time(描述一个你上次去过的咖啡馆) P3： 你在咖啡馆里干什么?为什么你认为咖啡馆是安静的地方? 咖啡馆和饭馆的区别? 中国人对于咖啡馆的印象?Will you choose orrestaurant when you meet others ? 9. Describe an activity near sea ( what do you do , the preparation ?) p3：what kinds of people relay on the sea ? what other activities do people in the sea ? 什么职业是依靠大海? 10. Describe aninteresting house or apartment you visited (描述一个你访问过的有趣房子或公寓)( where，whosehome, why you go there , why it is so interesting ) P3: Why people want to movefrom new buildings ? 你愿意住这种房子么? 在中国人们更多选择住什么房子? 1. Describe adecision you disagreed with (who, what decision, have you told her or him,explain why you disagree) P3: 青少年有哪些艰难决定要做? 没做好决定的话有什么坏的影响? 怎么做好决定?如何使用这些方法? 为啥有些人还是不用这些方法? 为什么有人用了这些方法还是没做好决定? 还有啥其它决定年轻人应该自己做? 2. Describe sth. Youare waiting for (描述一件你正在等待的事情,what is it , what did youdo during the waiting , what you felt during waiting, what does it mean to you).Part 3: 等待好么? 耐心. 人们每天都在等什么? 每天有什么事情需要等待?人们比过去要有耐心么?why do people dislike waiting ? Do you think people have to havepatience ? Is patience always a good characteristic ? Do you think childrenhave more patience than adults ? 3. Describeyour experience on good service , a shop or restaurant ( when , where, what,how is you feeling) (描述一个经历的好的服务) P3: Service inlarge shop and small shop different ? how people do when they get bad service? whysome people don’t know what service is good ? 4. Describe an important change in your life (描述人生中一次比较重要的变化(或者新的开始) ,最后问了一句我的朋友是否对我的这个惊讶表示惊讶? P3: 让children接触新的事物是否有好处? 为什么有的children 会拒绝新的事物或变化? 现在的年轻人是否经常换工作? 你是否认同? 5.Describe an experience that you are not allowed use mobile phone ( 描述一次不允许带手机的经历) ( where , why, what did you do) P3：Different use phone of young & old people ? why ? your attitude ? 公共场合大声打电话什么影响?举例说明手机在生活上带来的很大的变化? 用手机拍照浪费时间么? 6.Describe a team work /project you did with others (描述一个团队活动) P3： 你觉得团队工作重要么? 团队工作对小孩好么? 作为组员，你应该怎么样? 作为组长，是不是应该承担更多的责任? 组长应该有什么样的特质? 7. Describe anexperience in countryside (什么时候去的，和谁去，去做什么，然后为什么是enjoyable)(描述一下你在乡村度过的美好一天)P3： 为什么有人愿意留在农村? 乡村和城市有什么不同? 现在的乡村跟过去比有什么不同? 8. Describe an eventin history in your country /Describe an important event in your country(描述你们国家的一个历史事件/国家的一重要事件)P3： Do you likehistory ? History museum useful ? Should museum be free? 未来的博物馆会有现在的什么物品作为文物? Should privateperson build museum ? How show lives 2000 years ago in the museums ?要是选择一样21世纪的东西在博物馆里向未来的人展示，你觉得应该选么? 你们都是怎么样学习历史和古代的历史伟人事件呢? 9. Describe an interesting conversation you had with a stranger ( when , where , ) p3: 为什么人们喜欢和陌生人谈话? Face to face talk 和online chatting 喜欢哪个? 男女哪个更喜欢说话? 10：Describe a thing that you could remember well in your childhood (描述你童年时期记忆深刻的一件事) P3: 你的童年快乐的记忆大都发生在哪里? 为什么你想起的最多的是在学校里而不是和父母? 人们为什么总是能记忆起童年的快乐? 比起过去人们现在更应该记得什么? 你是否认为现在的记忆比过去更重要? 11. Describe sth. You want to do but never did before ( 描述一个你想做但是从没做过的事) p3: 年轻人的目标是啥? 成年人的目标是啥? 老年人的目标是啥? 赚钱重要么? 12. Describe a plan you did before ( 描述你坐过的一个计划)/a plan in the future 一个未来的计划 p3: 为什么有的人有计划有的人没有计划? 学习有什么计划? 13. Describe a challenging experience ( 描述一个有挑战性的经历) p3: 为什么人们会参加有挑战性的活动? 为什么有人不喜欢参加有挑战性的活动? 他们会考虑风险么? 当他们失败他们会有什么感受? 当他们成功会有什么感觉? 14. Describe a time to a new place ( 描述一次去新地方的经历)p3:小孩子和成年人的适应性比较? 15. Describe a happy/an interesting wedding ( 描述一段愉快的婚礼，是谁的， 结婚多久了之类的)p3: 为什么现在晚婚? 还有结婚习俗穿着? 16. Describe an occasion you saw all the people laughing (描述一个场景我看到所有人都在笑， where, when, with sb.? Why ?) p3: 会不会有从来不笑的人? 人为什么笑? 笑重要么? 有人说女人比男人要经常笑这是真的么? 你觉得小是很有吸引力的对吗? 18. Describe a time when you moved to a new school or home (描述你搬家的经历， when you moved , where you moved from and to , why you moved , and explain how you felt about this move) p3: 人们为啥搬家? 哪些人不搬家? 只住一个房子的缺点? 孩子面对变化更容易调整自己么? 19. Describe a speech you heard (描述你听过的一个演讲) p3: why do some people is difficult to give a speech to children ? why did people nervous to have a speech to adults ? 20. Describe an occasion that tried an activity for the first time (描述你第一次尝试过的一个活动)p3: Do you try sth new ? Do you have any risky behaviors ? 21. Describe a time you arrived early ( when , where , what you did , why ) p3: What occasions should go early ? 工作和朋友哪个更应该早到? 人们为什么经常迟到，老人和年轻人有什么不同吗? 有的人希望改正，怎么改? 22. Describe a happy event in your childhood (描述你童年时期开心的经历) p3: 小孩儿一般记得什么东西? 成年人一般记得什么东西? 1. Describe awell-paid job you are good at (描述一个你擅长的高薪工作) P3：为什么有些工作工资高? 政府工作能赚非法钱么? 人民工资有高有底公平么? 工资高的人会lazy吗? 2. Describe a websiteyou know (描述你知道的一个网站(howdo you know ? 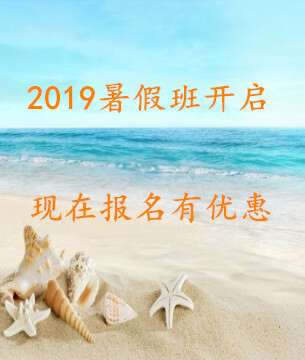 多经常去看这个website， why) P3：你觉得年轻人适合的上网年龄是几岁? 网络在几岁的年龄段最流行? 除了刚说的那个website还有什么吗? 觉得应该多上网么?政府和公司有责任限制网络上不好的信息么? 网购的利弊? 老人会使用网站么? 3. Describe a kind of weather you like (描述你喜欢的一天气, what weather, what do you do,how the weather affects your mood) P3： 季节的变化和穿衣服的变化? 天气对人们的影响? 看不看天气预报? 你喜欢变化多端的天气还是平静的好天气?What do you wear when it is cold outside ? why people need towear think clothes when it is cold outside ? 4. Describe a TV drama series (描述一个你喜欢的电视连续剧,名字，演员，讲的什么，为什么喜欢?) p3: 在你的国家老年人更喜欢什么节目? 过去和现在的电视节目质量相比，有什么改变? Will you recommend it to your friends ? what do you think about TV soap operas ? Do you often watch TV? Do you think soap operas do any good ? what benefits do you think soap operas have brought us ? 5. Describe a sport event you like watching (描述你最喜欢看的体育项目, watching sport ,什么运动，在哪里看， 跟谁，为什么喜欢这个运动)p3: 为什么一些少年喜欢看体育频道而自己又整天在沙发上不去做运动? 你认为应该做些啥能鼓励人们多运动? 运动有啥好处? 中国人喜欢看什么运动? 中国人不喜欢看什么运动? 你喜欢什么运动? 6. Describe a popular invention in all ages (描述一受欢迎的发明，哪种发明， 对社会的影响很大，为什么会这样? 在不同年龄中受不欢迎程度， what it is , how , how popular in different ages ) P3 machine , robot, appliance 说一些家里的invention ? drawbacks 是啥? 7. Describe a good news you heard from someone you know ( what , whom) p3: media news , celebrate good news ? 8. Describe a festival you would like to celebrate in the future ( 描述喜欢在未来过什么节日) P3: 问孩子是否该去国外? 喜欢和家人进行的户外活动是什么? 9. Describe an English class (描述一英语课) p3: 学习language, 为什么有人学的快，有人学的慢， 为什么学习第二种语言， 语法在学语言重要么? 需要motivation 做事吗? 语言老师应该具备啥素质? 为啥现在对多语言人才需求很大?